I've been fortunate to have had quite a few firsts with building 4WD's over the years. 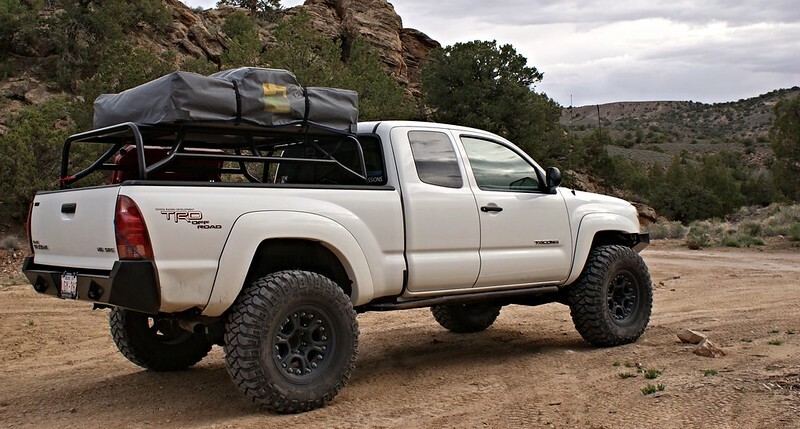 Firsts meaning what you see below is one of the first 2nd Gen Tacoma's to be assembled with a roof top tent bed rack, long travel, "expedition" leaf pack, Hutchinson bead locks with 35's... We're grateful to be apart of these amazing products to allow us to easily upgrade a 4WD to become more capable of taking us further with more comfort. This has created a very distinct style and philosophy in how we spec and build our vehicles through The Gear Shop. Not long ago when I had entered the 4WD realm coming from quick cars, there weren't many companies making quality upgrades. 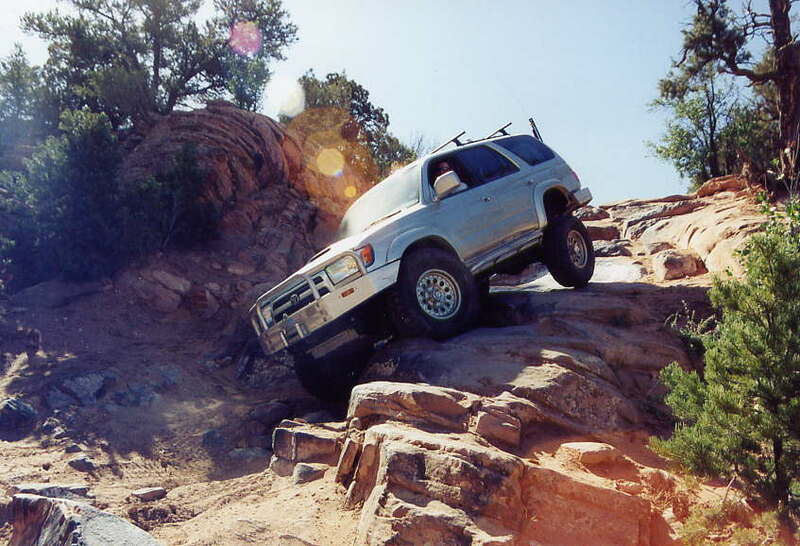 Especially for Toyota's, there were only Marlin Crawler and All-Pro Off-Road innovating upgrades in the late 90's and early 2000's. 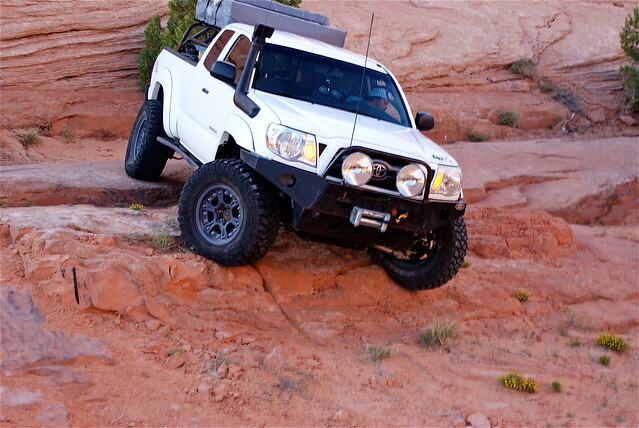 Most of the time it was taking rear Toyota pick up leaf springs and putting them up front for the solid axle pick up for more flex with bigger shackles, a drop hanger made from square tubing moved 1.5" forwards with Ford shock towers and cheap Rancho shocks. Rear springs would come from a Chevy pick up with relocated spring hangers and longer Rancho shocks. We had to find it in junk yards, build it and weld it to crawl over obstacles. In early 2000's this all started to change with upgrades we could bolt in with some minor modifications. These were upgrades we could purchase, have it shipped, and install with basic hand tools to increase the capability of a 4WD almost over night. 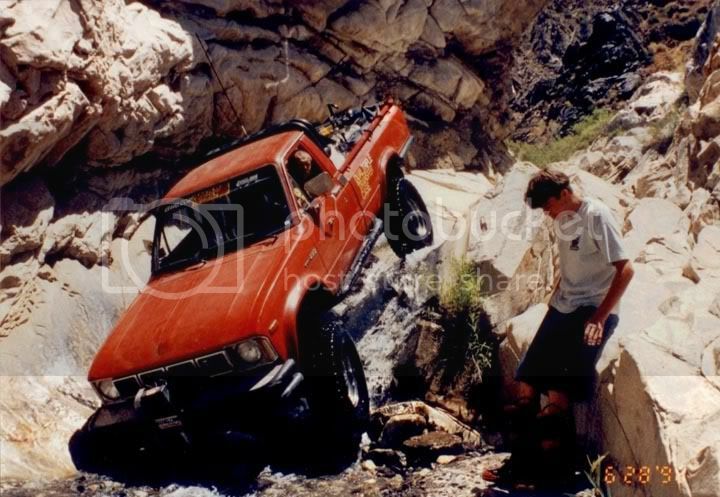 Bud Built started to make skid plates, Marlin had a bolt in/weld suspension kits with Bilstein shocks, hi-steer kits, crawl boxes, Marfield axles, transmissions, and bumpers, All-Pro had their solid axle swap kit, rock sliders, weld together bed cage kits... and independent front suspension was the devil. Companies like Total Chaos and Camburg were just starting to flex out some trick race kits and coil overs were just starting to become obtainable. Realistically at the time these were way outside the budget for most which is why Marlin and All-Pro were so popular with the Toyota 4WD crowd. Then the second generation Toyota Tacoma came out and the game changed completely. It was until 2007/2008 when things started to get interesting. About this time forums were really starting to become popular and the exchange of information started to move very quick. 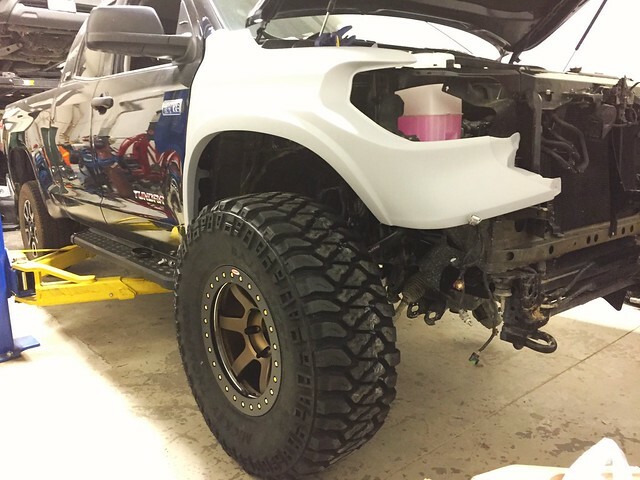 All-Pro really started to create some tangible suspension packages, bumpers, skid plates, and rock sliders which were very easy to install for the Tacoma platform. Bud Built already had the skid plate market, but were just becoming extremely popular thanks to the FJ Cruiser release in 07. This brings us to where we are today. We often think back to the the late 1990's and early 2000's as its a reminder to ourselves how lucky we are today at The Gear Shop to have access to incredible products from a huge list of manufacturers both big to mom and pop shops. Companies which started in a small garage and turned it into a full time business. It has allowed us to create builds that only we could dream of not too long ago, however a bit easier and more efficiently. It's still not perfect today as lead times for products from manufacturing can take up to 8 months! What we as people sometimes forget today is how long we've come, we're lucky to even have these products like these beautifully designed plate winch bumpers, rock sliders with kickouts which bolt on to the frame, skid plates which fit almost perfectly, suspension options which can increase travel overnight, and still have a 4WD which can handle on pavement better than it did from the factory. It's a tricky balance between receiving products in a timely manor and scheduling our builds. 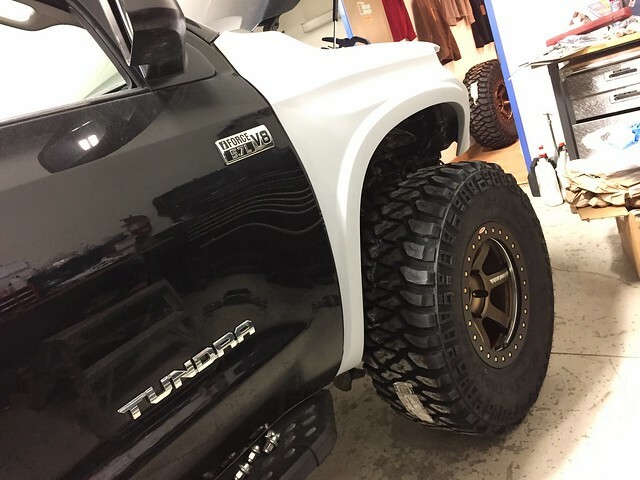 It's been a long time dream to build a long travel Tundra and thanks to the long history of Toyota 4WD aftermarket, we now have incredible products which just bolt in and can transform a factory vehicle into a beast of an adventure vehicle to make this dream come true. Not like in 1998! But even today we can still pull off a few firsts, even when there's instagram, pinterest and facebook which can send one idea across the world to millions within a second. We welcome the first Rays Engineering Volk TE37 Beadlock. It's been a dream of mine.. it's been talked about and finally we have it in the flesh. 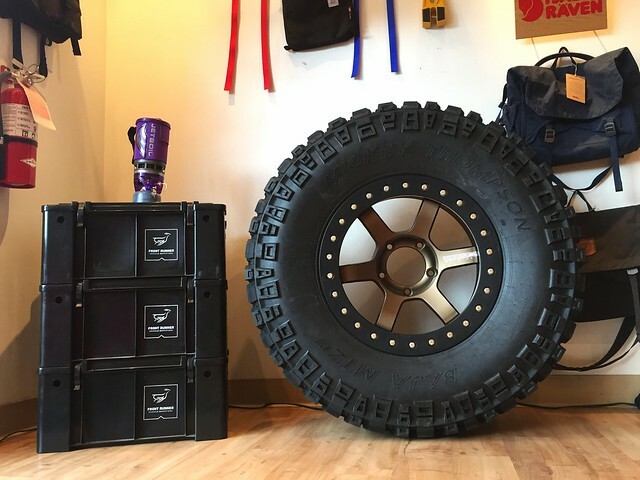 We have to thank a few people for this to happen and first is Biglines.com for allowing us to build their ultimate adventure vehicle The Raven One and from that it's spawned the #TokyoTruck. 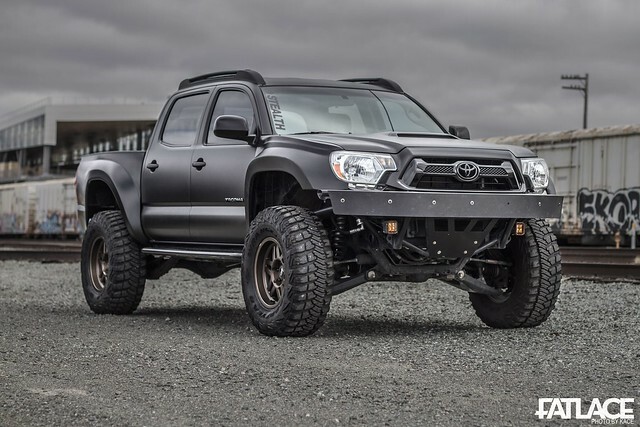 After consulting with our client the goal of this Tundra is to have an insane adventure vehicle which can take him sled skiing in the winter, to Alaska to do some exploring and eventually to Patagonia. We went long travel to increase wheel travel and control, bead locks to air down in the deep snow and off-pavement, we kept the spring over in the back to carry the weight of 1 or 2 sleds, sled deck and eventually a camper. We've been looking forwards to this build since the end of winter. This speaks to my heritage as a Japanese Canadian. With my family roots stemming from Tokyo, the owner of this Tundra is also from Tokyo. Jokingly I call it the Hapa build as it is an American Tundra with a Japanese flare to the build. It would have been easier to go with the Method 105 wheel, however, we make dreams happen... so the TE37 beadlock was born to keep inline with our theme. 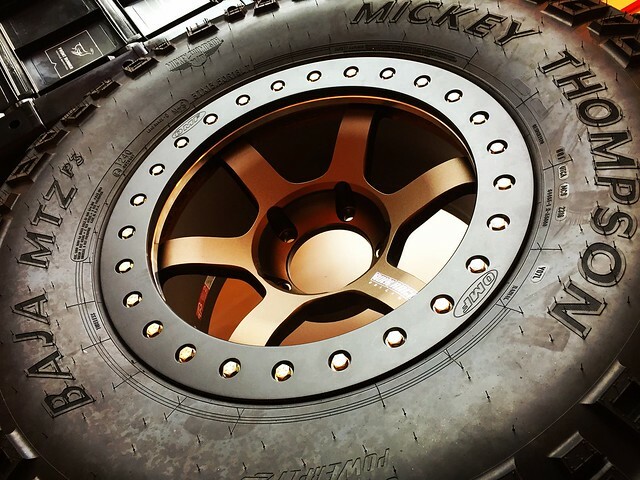 The Volk wheels were ordered from Japan and sent directly to OMF to get beadlocked. We kept the bead lock ring very simple so the style wouldn't get old after a few years but they have to be bronze. These were definitely not overnight parts from Japan. Now what makes this amazing is, today we can order the parts that are already fabricated to a high level, have it shipped with powdercoating and then with some little bit of fab work they bolt in. You want more travel than a Ford Raptor... no problem we'll order this kit and the right shock and there you go. It's incredible the world we live in today! So today we have a Tundra that is almost completely torn apart and we're now have welded up the lower control arm cam tab gussets, mounted all of the TE37 bead locks with Mickey Thompson 37x13.5" MTZ P3 tires and are ready for the next step. Tomorrow we will be welding Total Chaos spindle gussets, fitting the SDHQ glass fenders before paint and assembling the wider axles needed to go with the 2.5" wider Camburg Long Travel Kit. Developed by 54blue Communications Inc.